I love Mattel's Tru moves line...this is very similar. Usually key points of articulation at 12" size and more than adequate sculpted details. I will truly miss this line when Mattel license expires. 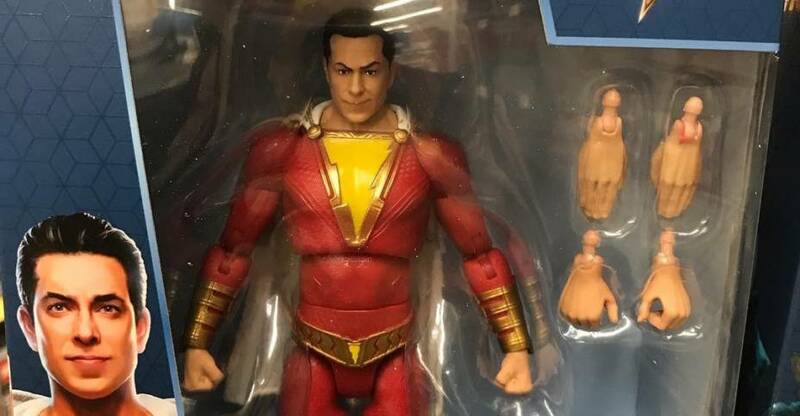 The bigger the scale, the more it really stands out....and this is a very nice looking Shazam figure. This is one of the things Mattel does way better than Hasbro...offering the 12" sized figures.....and of course MAttel does awesome vehicles. I thought Spinmasters got the license? They did. It doesn't kick in until 2020. 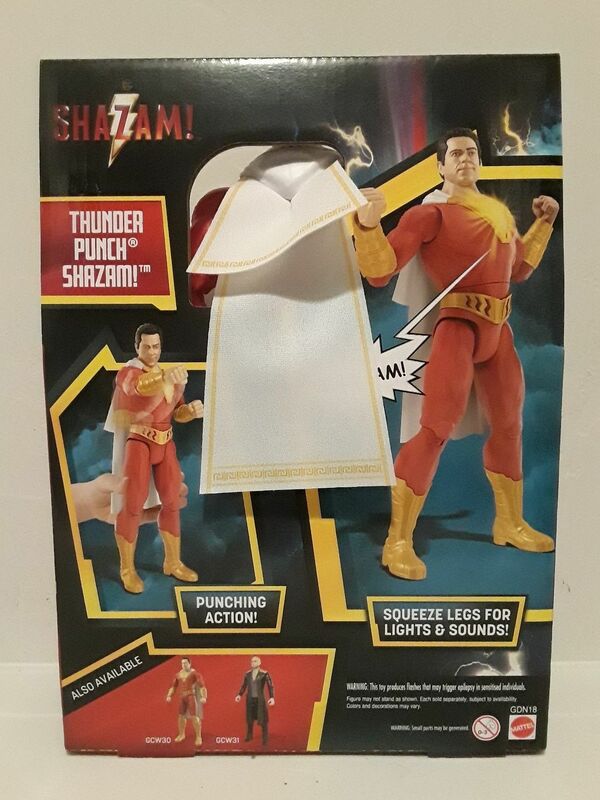 ... this is a very nice looking Shazam figure.. Figure looks like garbage. Yeah i get its not trying to be great, but then why waste the plastic? I'm not gonna miss Mattel figures. That looks goofy as hell. 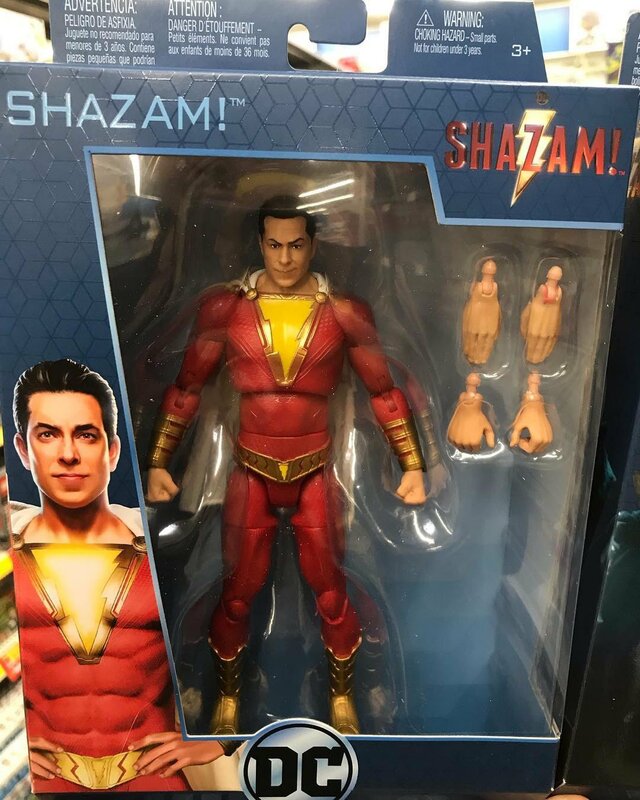 That toy looks as though it could not possibly be made any more cheaply, but moreover, the costume design is disappointing. I read somewhere that the suit design was a major disappointment among pre-screening audiences, and improvements would be made. I find the picture-frame border around the lightning bolt particularly distasteful, like fingernails on an old fashioned chalkboard. I love this character generally, but they need to sharpen their pencils and clean up that costume if they want collectors to open their wallets. Likeness looks surprisingly decent for Mattel. I really like it and look forward to adding him to my collection. Was able to pick one of these up at my local Walmart today. Just thought he would be a fun figure to have. Waiting to see if we get a Multiverse figure. Waiting to see if we get a Multiverse figure. They have been unofficially announced by way of pre-order listings. Oh good. I guess we will be getting pics soon I hope. Ha ha ha this movie...fail. Go go shazam rangers...... sigh i actually had hopes this would be good. It's not like they're making those up for the movie. They're a huge part of Shazam's comics. Gotcha. Guess I didn't know that so thanks for informing me. I was only up on Black Adam and Shazam. I didn't know he had a whole group of friends. 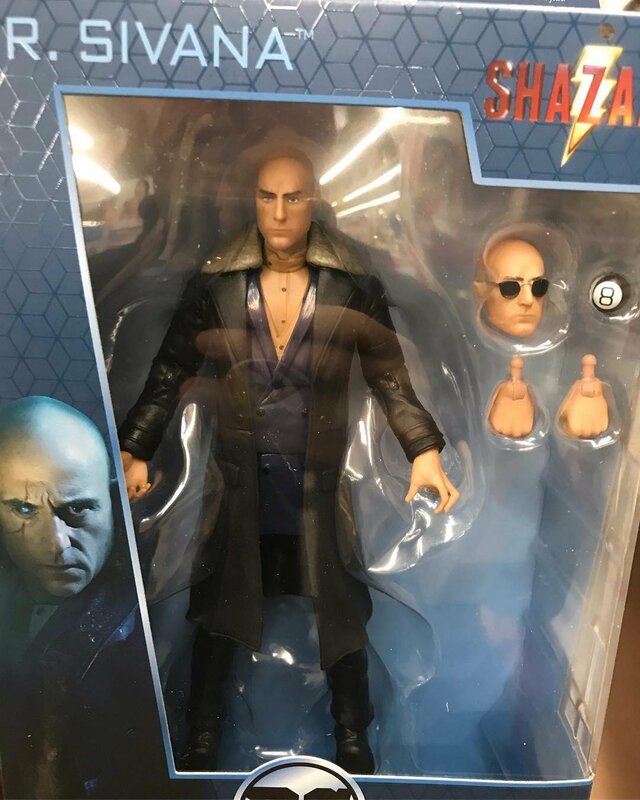 I have a moderate desire to see the movie, but aside from a decent-looking Multiverse figure, I don’t think I’m interested in any of the merchandise. i anticipate seeing a lot of this sit on shelves fro the next year or two.